Pure Titanium frames. 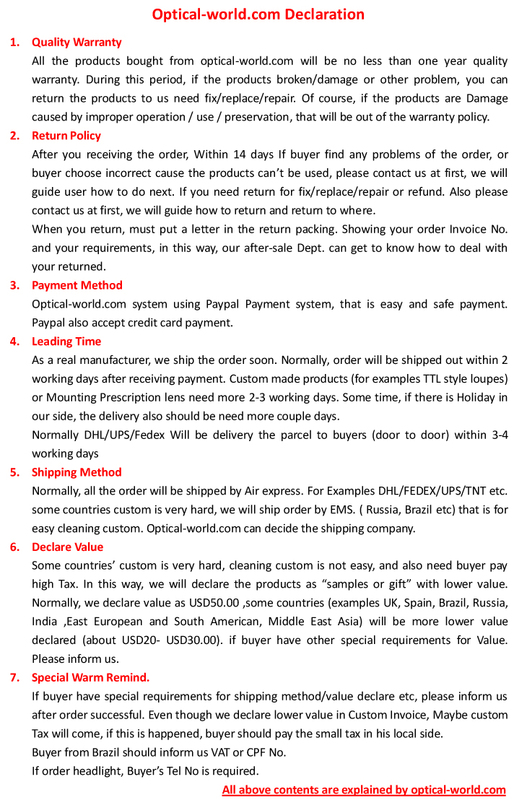 through the lens style,easy using, high quality,custom made loupes, don't need adjust any more, superb light weight, closer to your eyes offering largest fields of views. 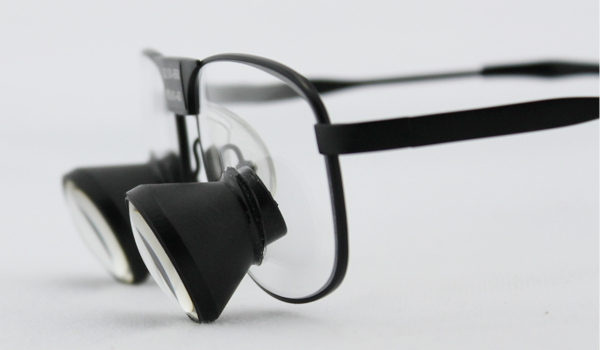 TTL (through the lens ) loupes are widely used in dentistry, Department of Stomatology, ENT department, general surgery, cervical spine Department of Neurosurgery, cardiovascular and cerebrovascular disease, cosmetology and plastic surgery, pet hospital and other medical fields. 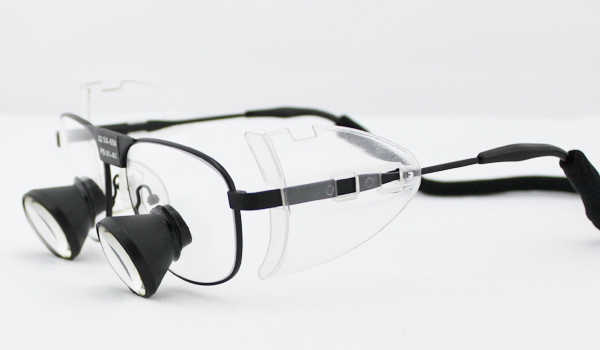 IT is a a necessary tool for dictors in the fine examination and treatment, that will be more better using the TTL loupes with LED headlamp. 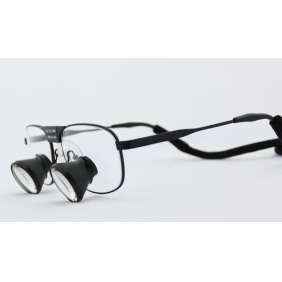 3.5x TTL Titanium frames Loupes, Super light weight and more wider field of view. 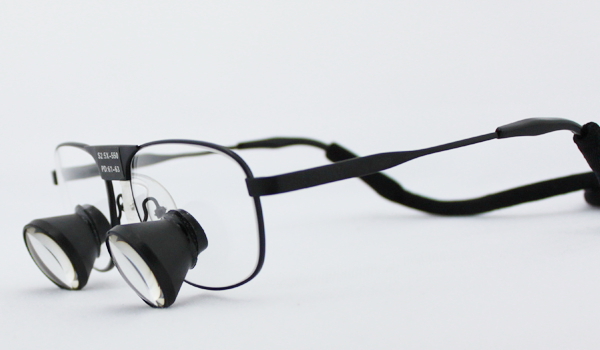 custom made TTL loupes. 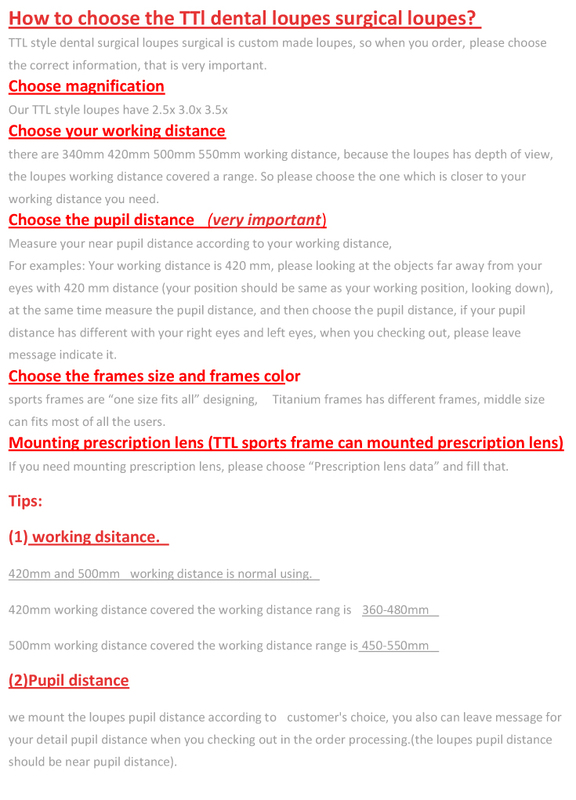 if you want to order TTL loupes Titanium frames with headlight, please visit the link: http://www.optical-world.com/optical-loupes-headlight-h60-normal-ttl-loupes_c30 order together will be save money. 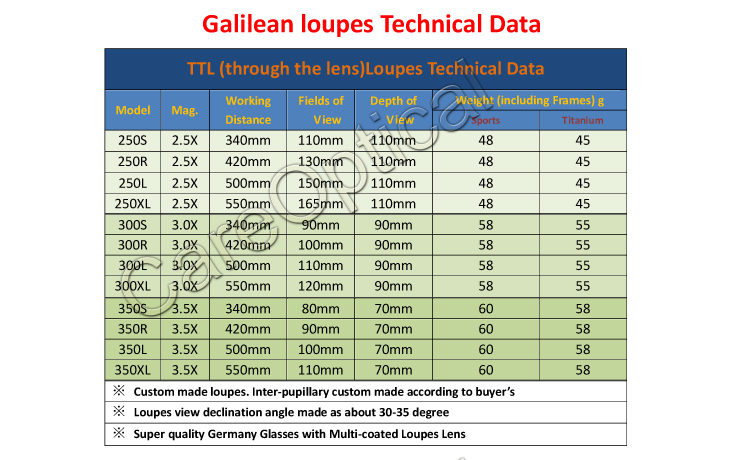 good qualty TTL loupes,fast shipping, very lighter loupe, nice service.excellent seller! hi can you customize also the lenses of the glaces according to my prescription ? Tell us what you think about TTL Dental Loupes Surgical Loupes 3.5X Pure Titanium Frames, share your opinion with other people. 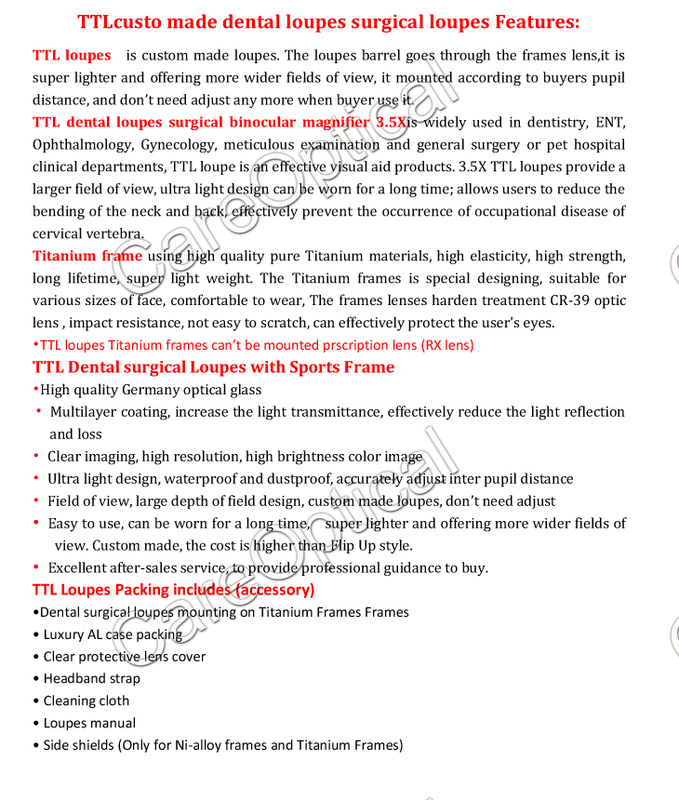 Please make sure that your review focus on TTL Dental Loupes Surgical Loupes 3.5X Pure Titanium Frames. All the reviews are moderated and will be reviewed within two business days. Inappropriate reviews will not be posted.